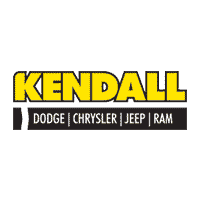 Contact Kendall DCJR Soldotna today for information on dozens of vehicles like this 2019 Dodge Durango GT Plus. This Dodge includes: ENGINE: 3.6L V6 24V VVT UPG V6 Cylinder Engine Gasoline Fuel PERFORMANCE HOOD FULL SIZE SPARE TIRE Conventional Spare Tire ENGINE BLOCK HEATER TRANSMISSION: 8-SPEED AUTOMATIC (850RE) (STD) 8-Speed A/T Transmission w/Dual Shift Mode A/T WHEELS: 20 Aluminum Wheels *Note - For third party subscriptions or services, please contact the dealer for more information. * Want more room? Want more style? This Dodge Durango is the vehicle for you. Navigate through all the icky weather with ease in this AWD-equipped Dodge Durango, and even get non-stop traction for your non-stop lifestyle! In addition to the amazing traction control, you may even qualify for an insurance reduction with this AWD vehicle. You've found the one you've been looking for. Your dream car.